Soft fluffy towels that you can wrap yourself up in after a luxurious soak in the bath but without reducing absorbency are not just an urban myth – you can have them too! First Particularly in hard water areas, mineral salts are deposited from the water onto the towels, making the fabric hard and inflexible. Second If towels are dried too harshly (for example by being draped over a radiator), the fibres can become locked so the fabric is less flexible and feels harsh on the skin. So what can you do to make your towels soft and fluffy but not affect their absorbency? *DON’T add fabric softener to your wash. Fabric softener (conditioner) is fat based and works by leaving a very thin layer of fat on your washing. This lubricates the fibres so the towels will feel softer after using it but the fat layer is also water repellent, so the towel absorbency will be badly affected. When you try to dry yourself, it will be like water off a duck’s back! *DO try adding some acid in the rinse cycle of your wash. There is a lot of folk wisdom showing that adding either white vinegar or citric acid will make your towels softer without reducing their absorbency. This is because it will dissolve the mineral salts mentioned above and prevent them from being deposited on the fabric. A word of warning though – too much vinegar will leave a noticeable odour on your towels and may rot the rubber seals on your washing machine, so citric acid is preferable. 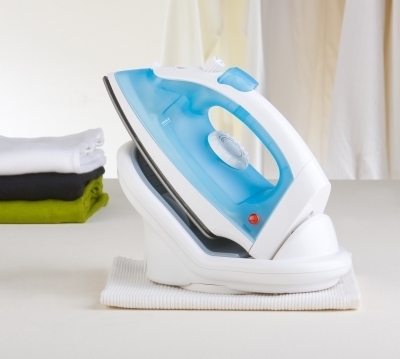 *DON’T iron your towels, as ironing flattens the fibres and locks them together so this will not only make them crispy but also reduce their absorbency. *DO line dry or tumble dry your towels. The movement and humidity during drying both ensure that the fabric is soft and flexible and the fibres lovely and fluffy, ensuring maximum softness and absorbency. So by following these simple DOs and DON’Ts you too can have towels that are still absorbent but are also dreamily soft…..
Do you squeeze your toothpaste from the bottom or the middle of the tube?